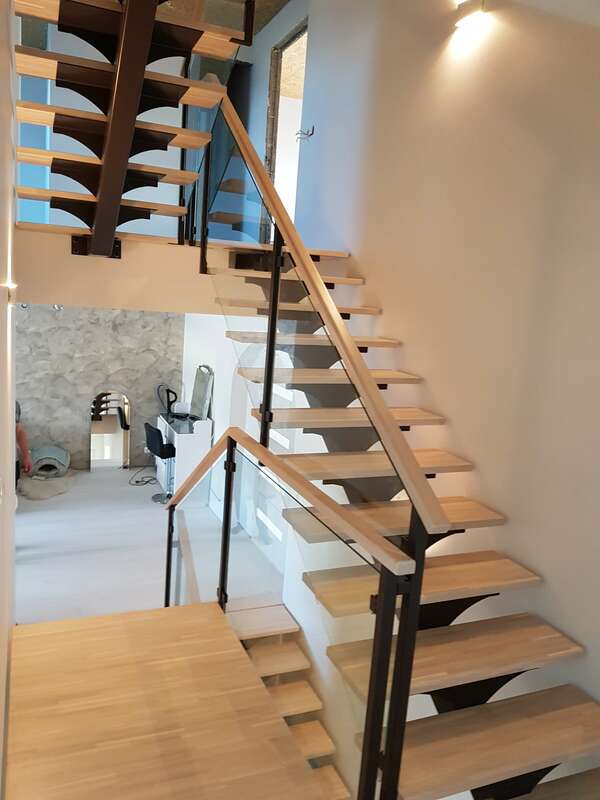 We mainly produce indoor and outdoor staircases with metal structure. 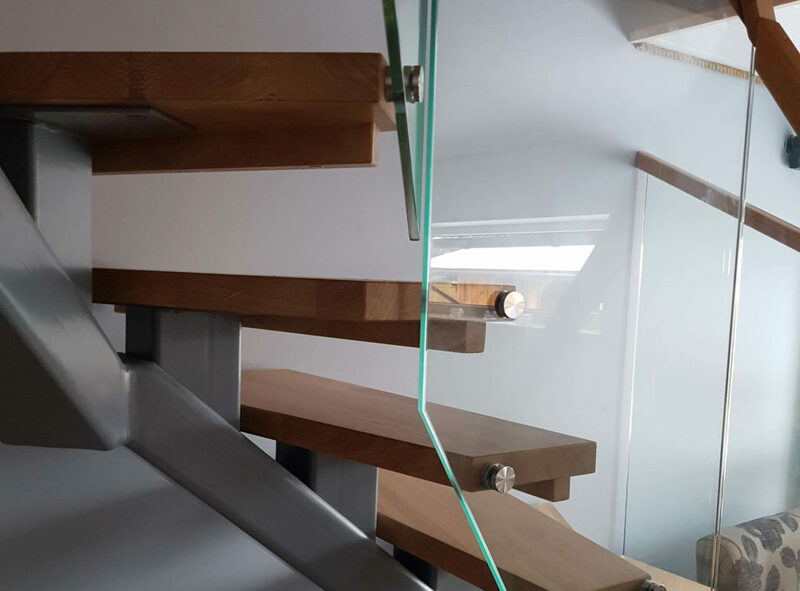 It is possible to order a complete solution or for example only metal beams with base for the steps. 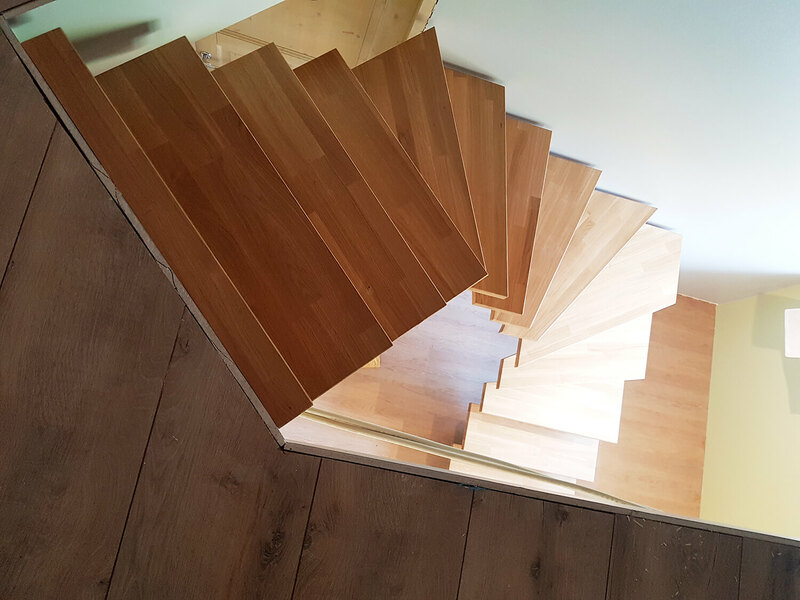 We work with a number of woodworking companies, who have also experienced over 20 years. 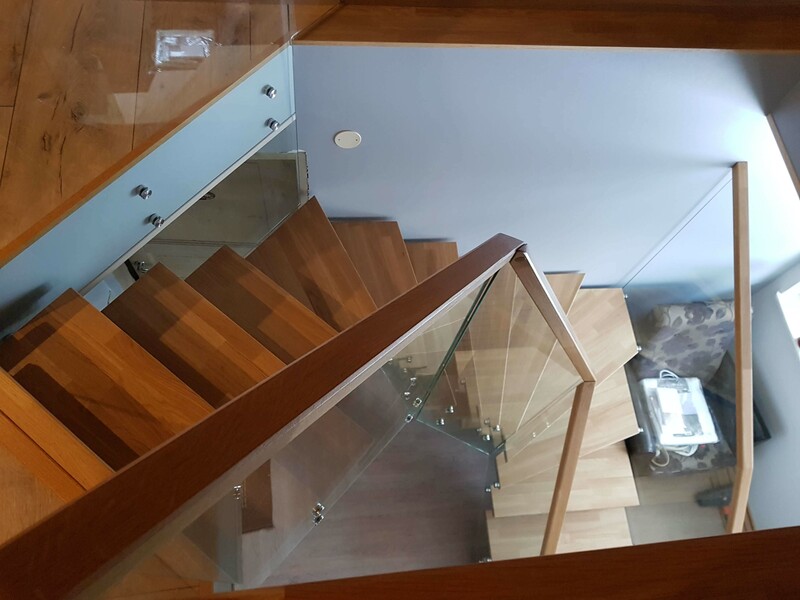 We will surely find the right solution for you. 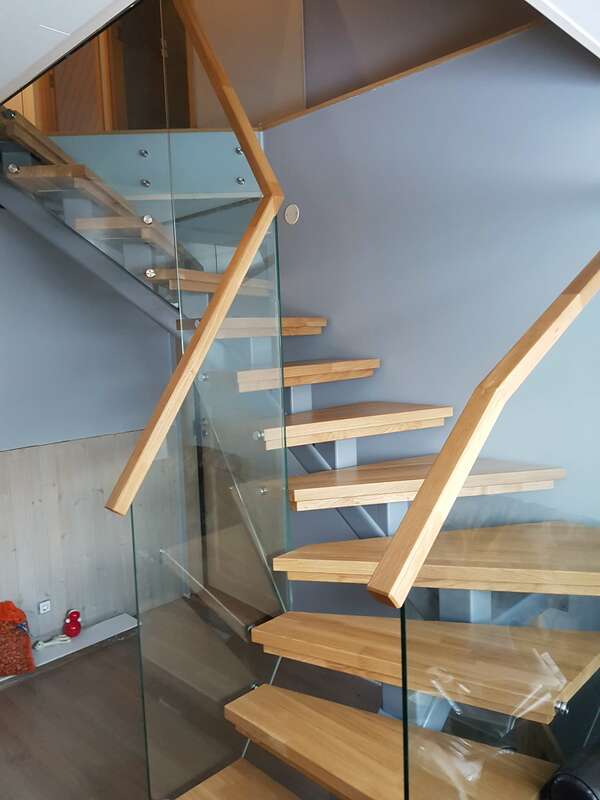 We collaborate with a number of experienced companies specialized in woodworks that have over 20 years of experience. 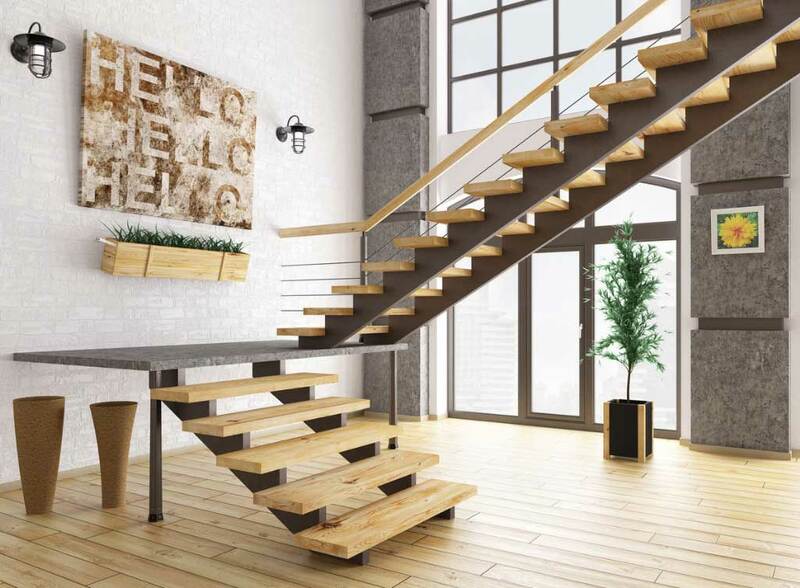 We will surely find the right solution for you. 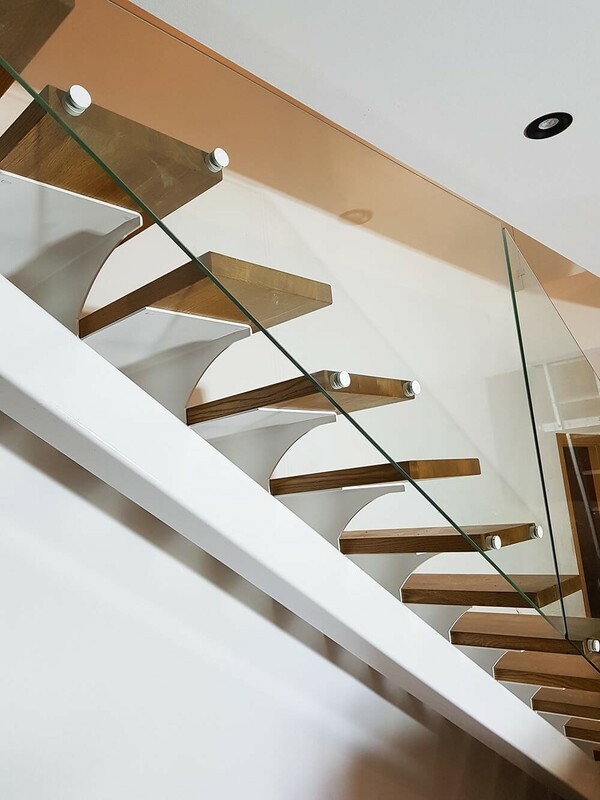 For railings we offer materials as smithery, glass, wood…and there are other possibilities. 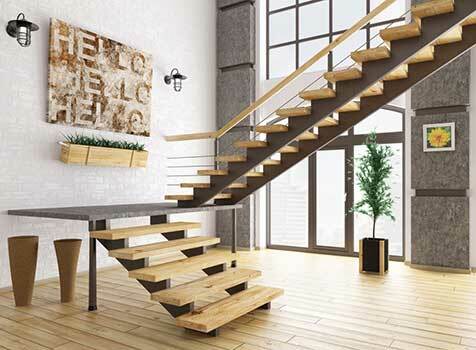 There are also various options for stairs steps materials. 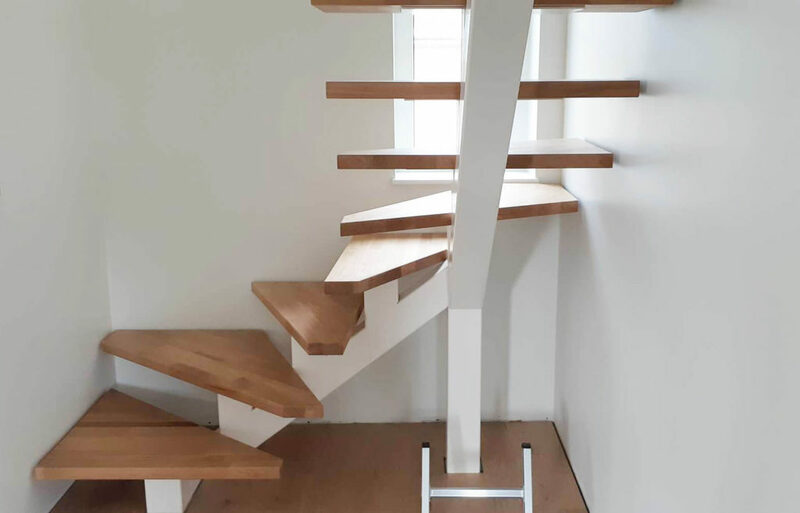 Wood: common oak, common ash, birch are resistant materials for making steps. 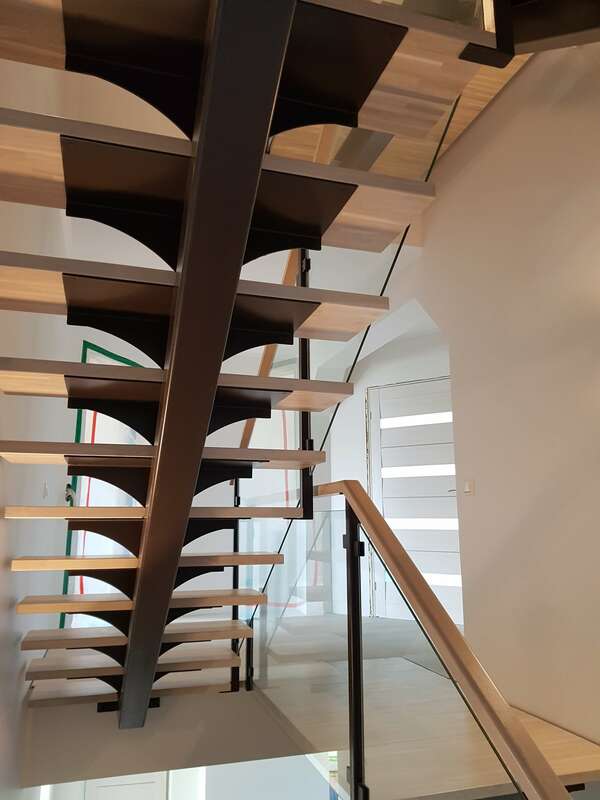 Concrete and metal are suitable for both indoors and outdoors. 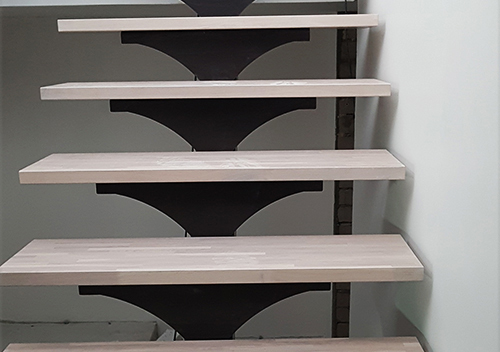 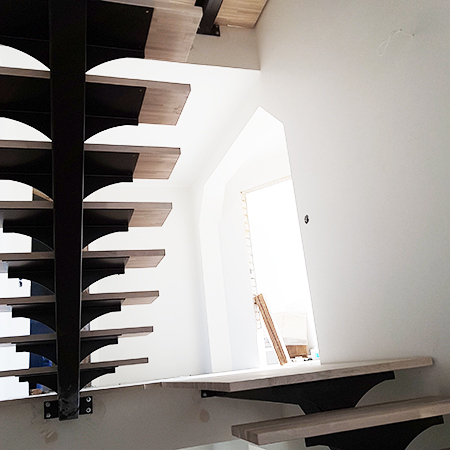 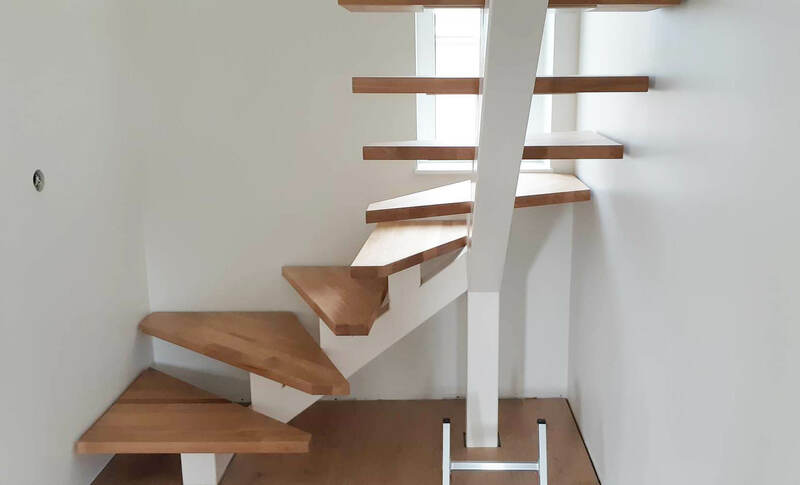 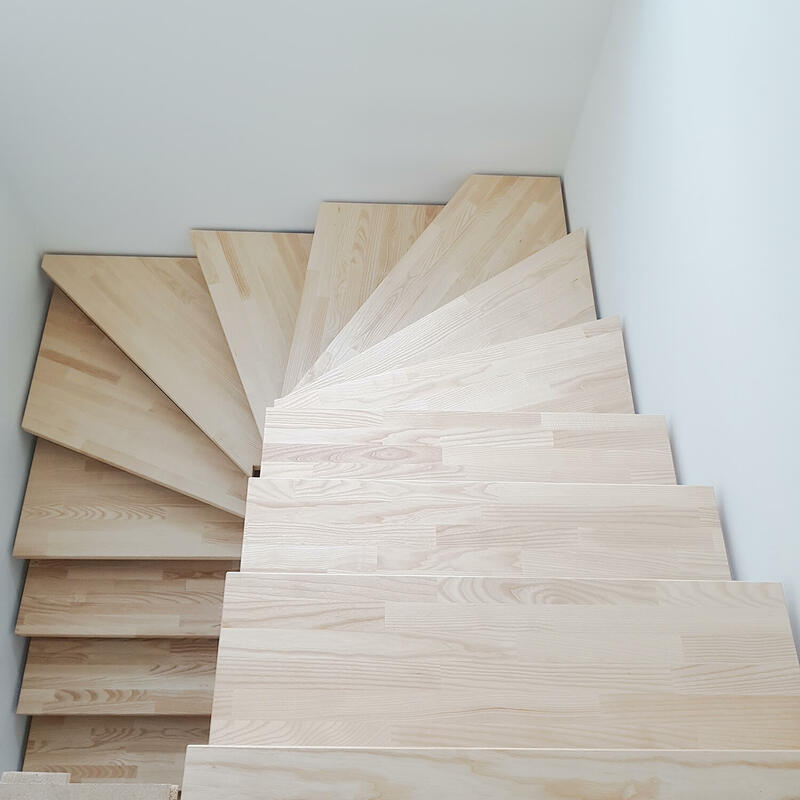 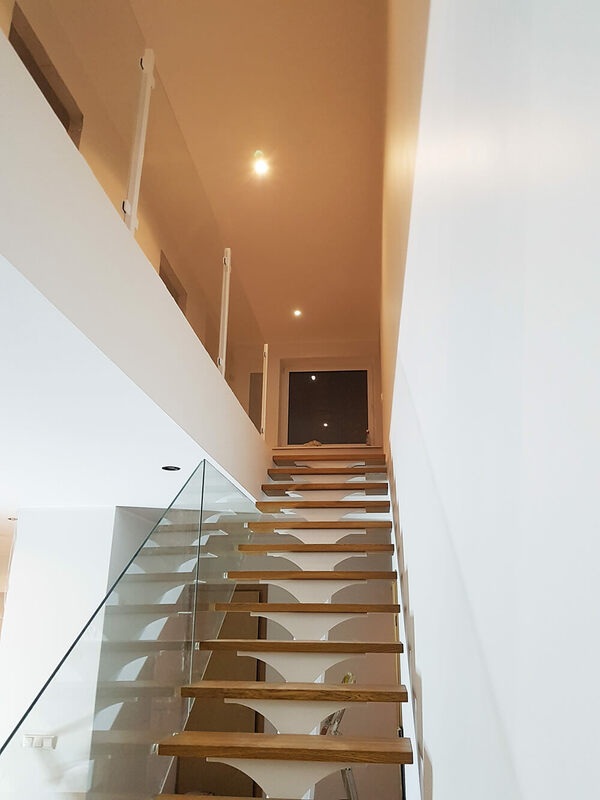 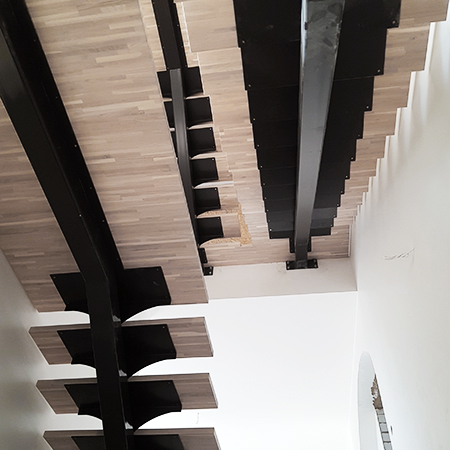 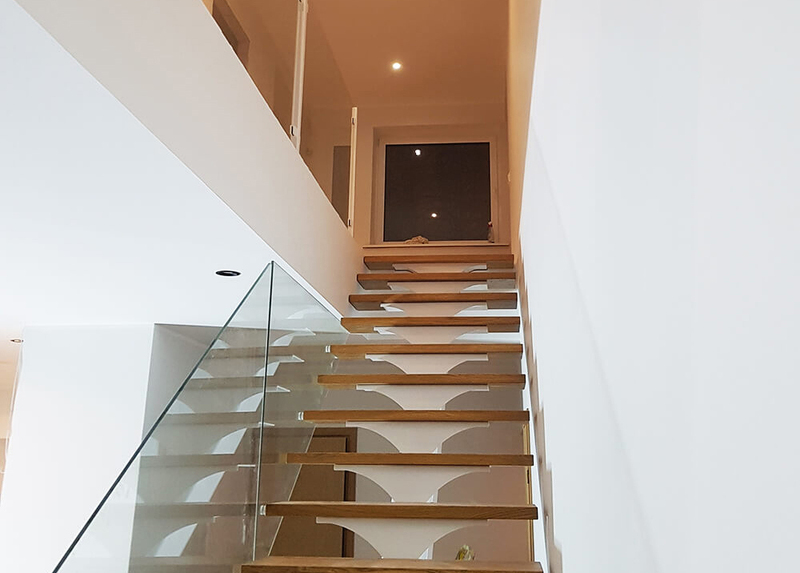 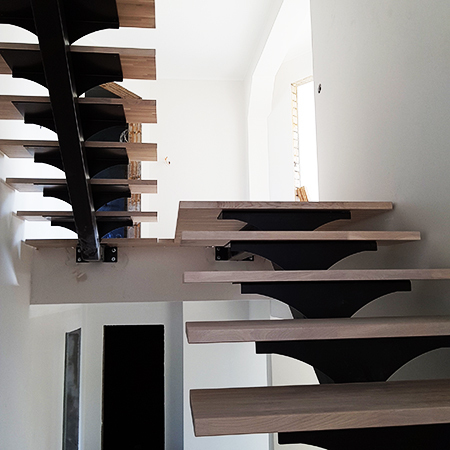 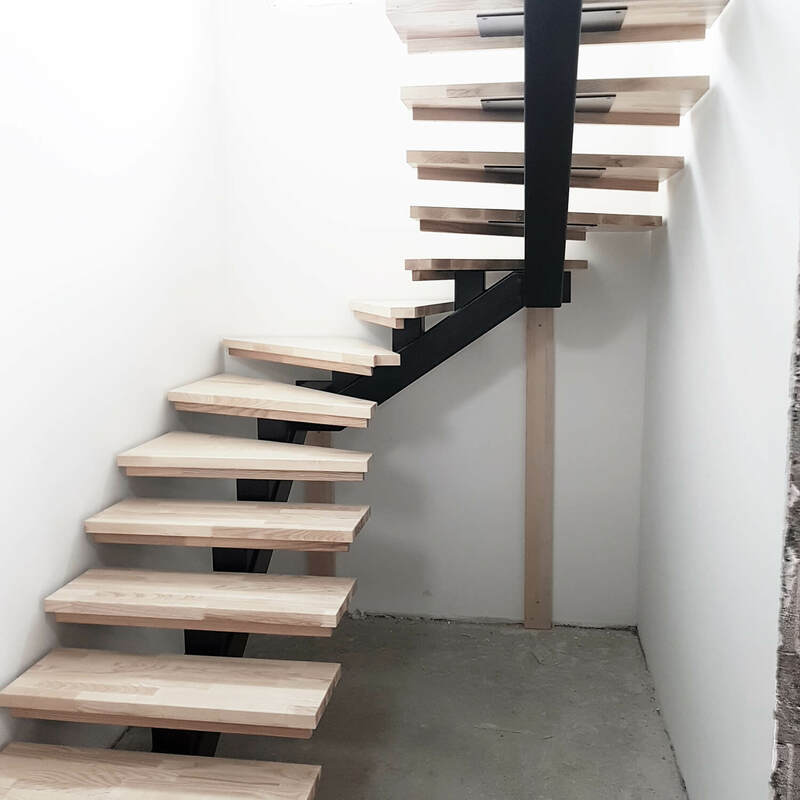 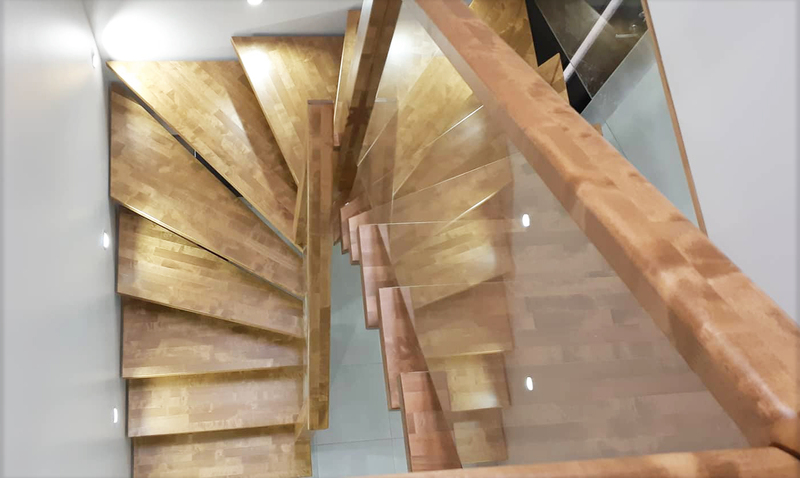 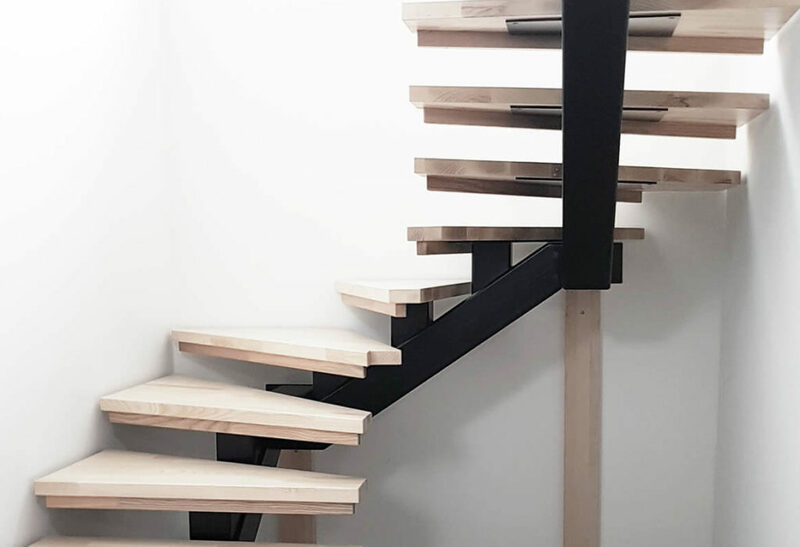 The advantage of the use of metal beams for the stairs is that it allows you to combine different materials and create an overall impression taking into account the general atmosphere- it can look like delicate or massive. 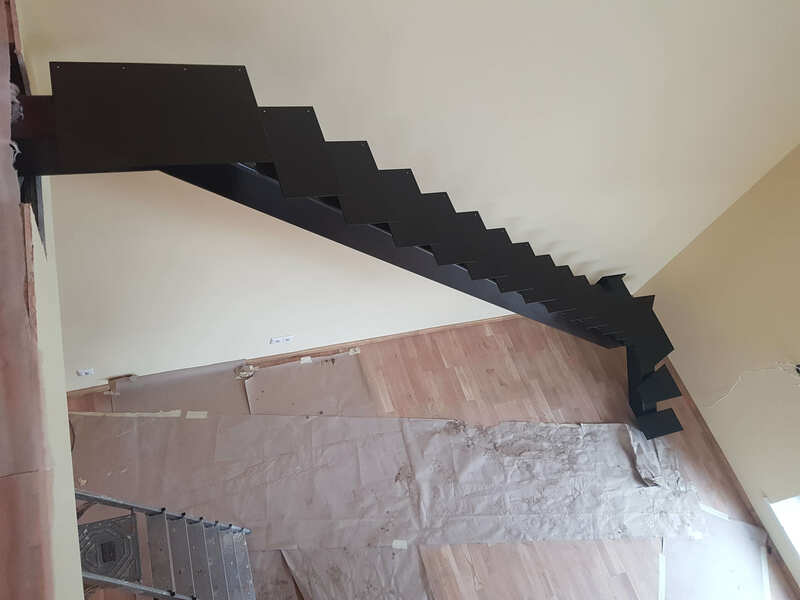 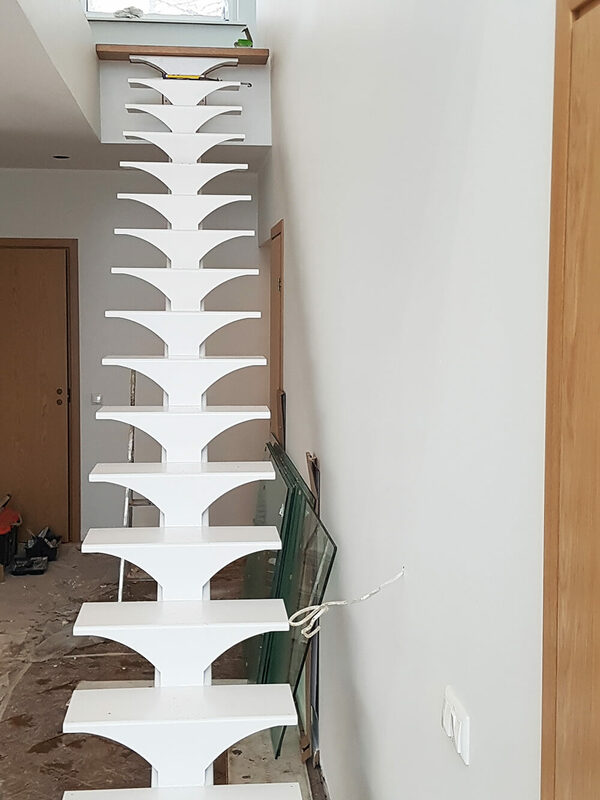 There are different ways to finish the metal staircase. 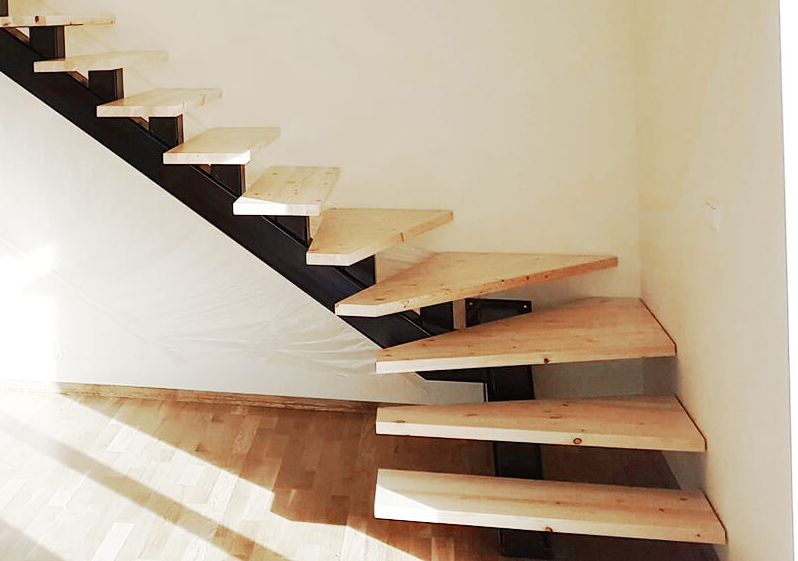 It all depends on the purpose and the environment which the stairs must fit subsequently. Outdoor metal staircase parts should be galvanized. 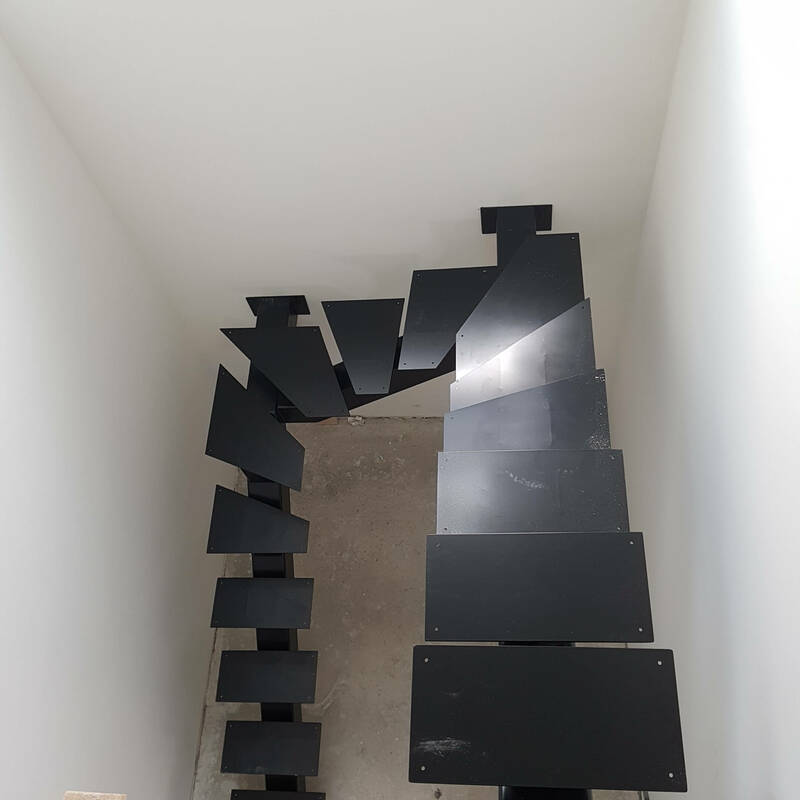 Very often, after that the staircases are ready. 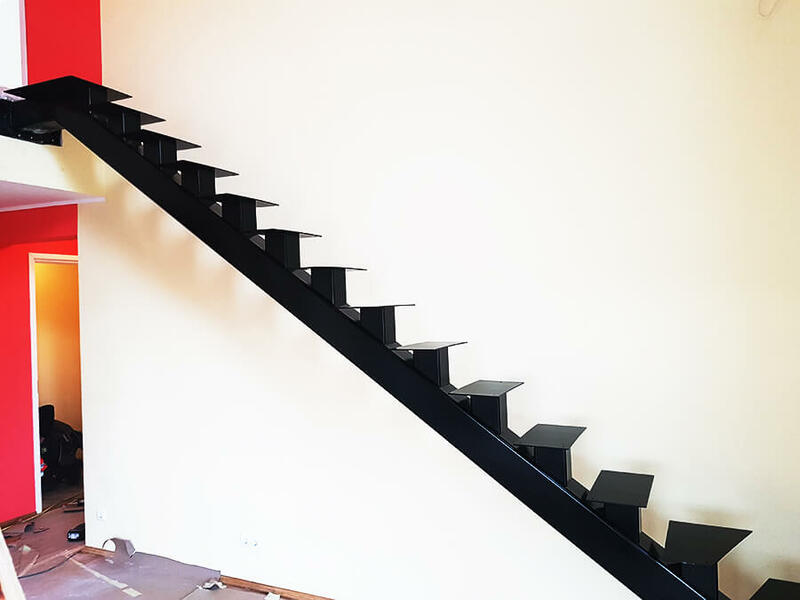 If necessary, it is also possible to paint it. 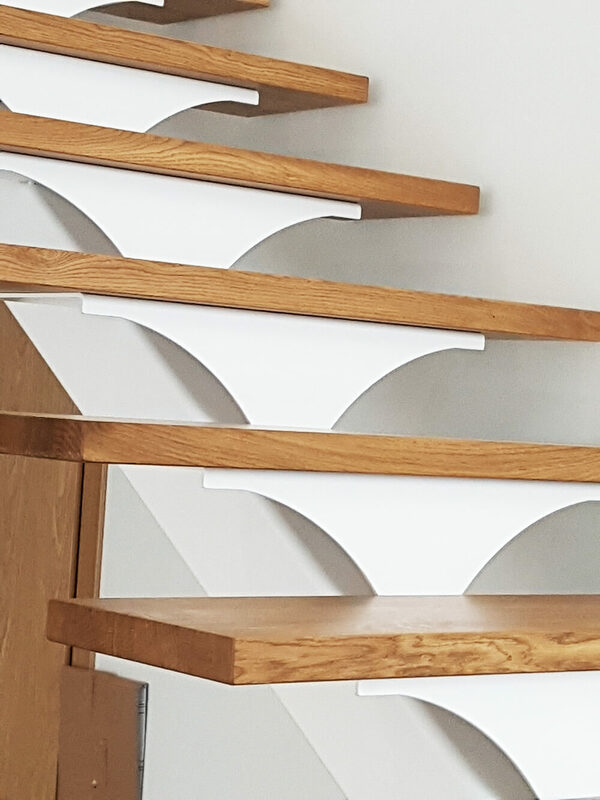 For indoors staircases, there is no need to galvanise. 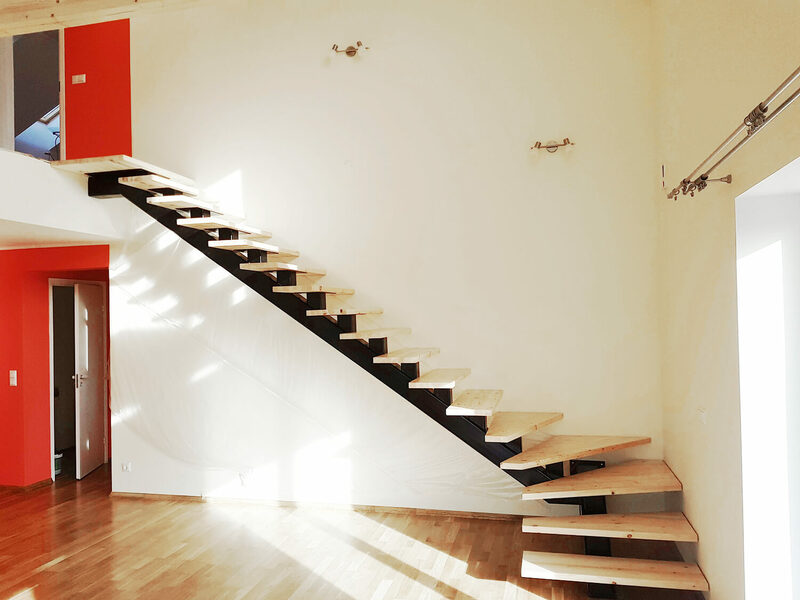 Powder colour gives you unlimited colour options. 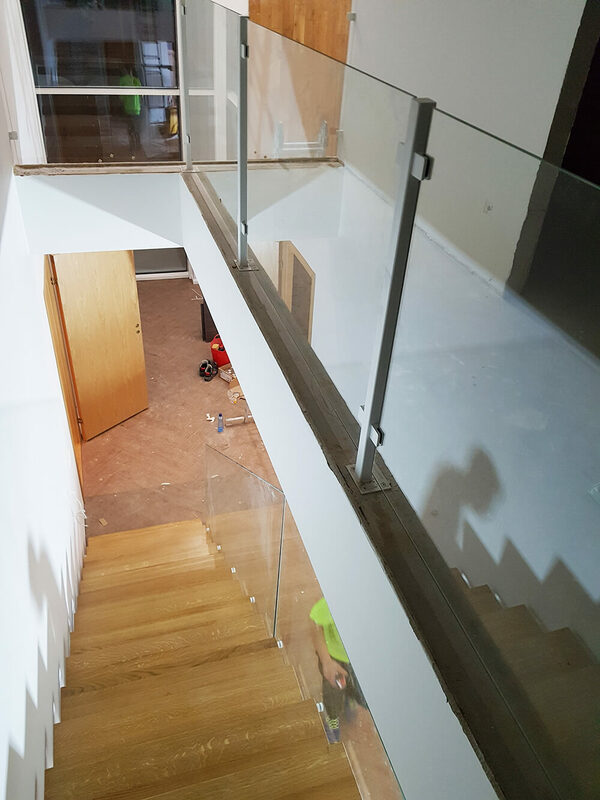 It also ensures a sufficient protection level. 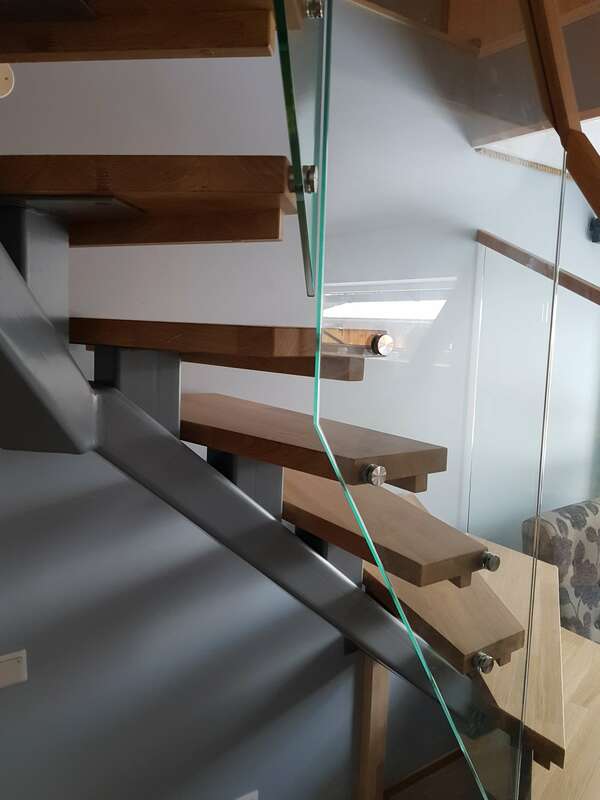 In addition to colouring, we have some other options for final touch. 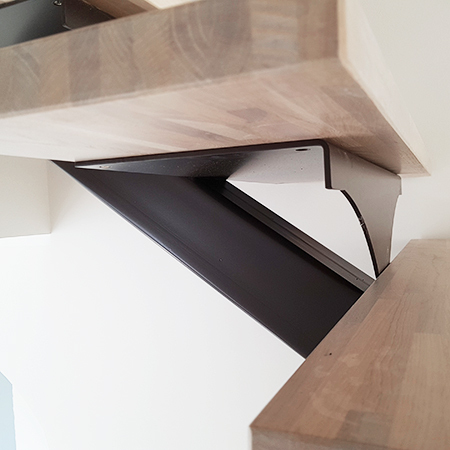 Depending on the design and realization, it is possible to varnish the beam. 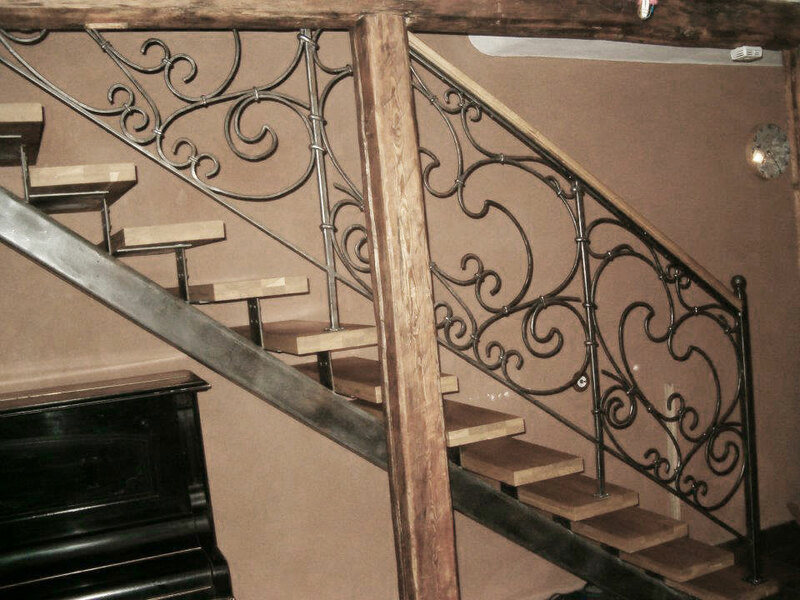 As a result you’ll have natural looking metal surface. 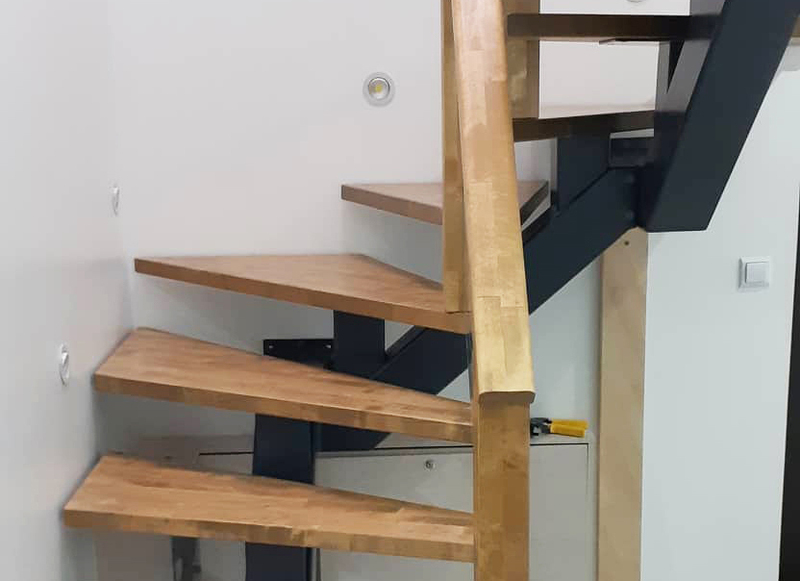 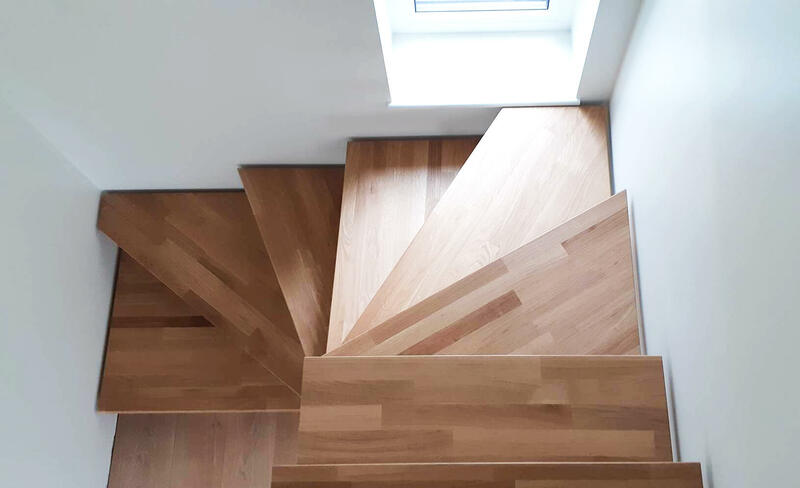 An interesting and robust look is provided when the beam is processed so that it is covered with a layer of oxide (rust), and then coated with a special varnish – with oak steps; it gives a magnificent impression….as you can see there are endless possibilities.